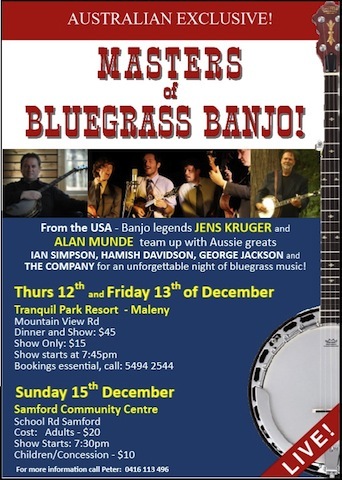 If you live in the Brisbane region, here is your chance to hear some world-class Bluegrass from three great acts. Exhilarating, authentic, captivating, are 3 words that have been used to describe Bluegrass music. And there is nothing like hearing great bluegrass music played live to awaken your musical senses, to get your toes twitching and your feet a tapping and to lift your spirits. From searing solos picked on the 5 string banjo, acoustic guitar, mandolin or the fiddle, to soaring vocal harmonies, bluegrass has it all. As fortune and design would have it Brisbane bluegrass fans can hear some of the best exponents of bluegrass music ever to have picked up an instrument. 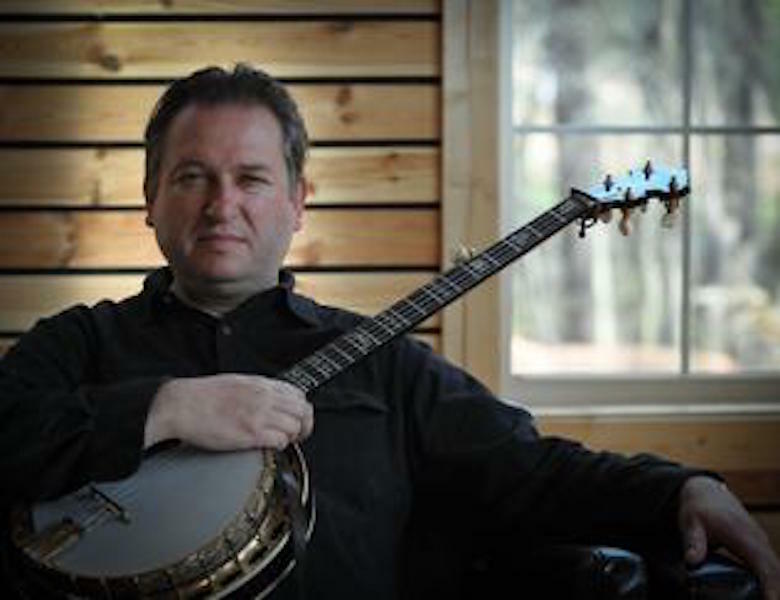 Headlining the shows is Swiss born, now North Carolina native Jens Kruger of the Kruger Brothers fame who is recognised as one of the world’s greatest 5 string banjo virtuosos. His articulate and mesmerising playing on the banjo will leave you utterly spell-bound. To have him perform right here in Australia is a rare occasion and one that’s not to be missed if you are serious about music of any genre. Also performing in concert, from the state of Arizona, are the high-energy 4 piece band the Sonoran Dogs. 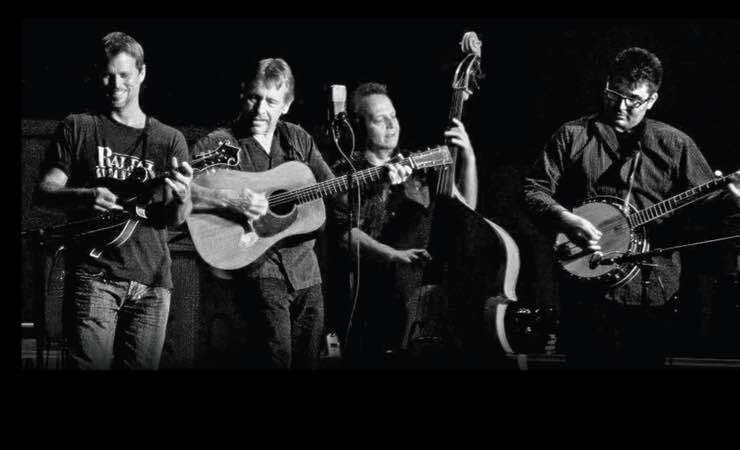 With masterful performances on mandolin, guitar, banjo and double bass and rich vocal harmonies the Sonoran Dogs will show you just what great bluegrass music is all about. They play a collection of traditional bluegrass standards, new-grass, Americana, folk, Celtic, and original compositions. Every concert is different, as they often improvise the set to follow the mood of their audience. It makes for a fun and dynamic show. Opening the concert is Australia’s own bluegrass group, the Nahuysen Brothers Band. Identical twin brothers Peter and Mark Nahuysen are well known in the Australian acoustic and bluegrass music scene and along with their wives and now children play a sweet blend of Gospel, Folk and Bluegrass music that stands up to the best being played today. Book your tickets for Bluegrass USA. You can purchase tickets at the door, however, to be sure to get a seat you can purchase them now online. December 4th. Samford Community Centre School Rd, Samford Village 4532 – Get Tickets Here.